Welty Building Company announced today that Mary Taylor, Lieutenant Governor of the State of Ohio, will join the company January 14 as its Executive Vice President and Chief Financial Officer. Her term as Lieutenant Governor ends January 13. Don Taylor, Mary's husband of 31 years, is the President and Chief Executive Officer of the company. 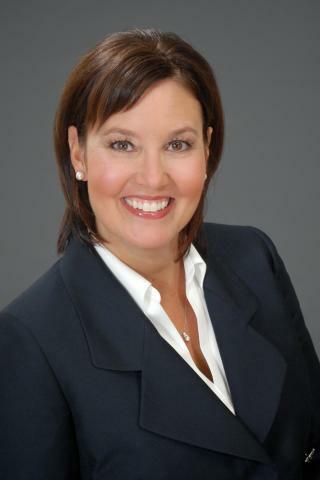 A results-driven executive leader and a licensed Certified Public Accountant, Mary Taylor is a recognized tax and auditing expert who, prior to serving as an elected official at the local, state and executive branches of Ohio government, spent 16 years in the private sector, including 12 years with current Welty auditing firm Bober Markey Fedorovich. "Although I am proud of my record of service to the people of Ohio and of the many noteworthy accomplishments we achieved as an executive team, I am excited about returning to private industry where I began my career, and to a company and team that I know so well. Though I wasn't involved with Welty during my years as a public servant, I have a unique knowledge and understanding of the company, its employees, processes, clients and community commitment. I look forward to working with Don and the Welty team to hlp ensure the company's continued success and to make certain that those who choose us to help build their future receive an extraordinary building experience," Mary Taylor said. Don Taylor noted, "As we searched for and vetted numerous CFO possibilities, our team was intent on choosing someone who not only was qualified, but who also understood our business, our people, our clients, and importantly, someone who would be committed to Welty's long-term success. As it turned out, the right choice wasn't far from home. "Having served as Lieutenant Governor, Mary has proven executive leadership ability and as Ohio's Auditor, she led the largest accounting practice in the state with a staff of more than 900 and a budget of more than $50 million. She clearly has expertise in accounting and finance and is capable of seeing things from a different perspective, providing sound guidance and identifying real opportunities for success." According to Charles E. Jones, who serves as President and Chief Executive Officer at FirstEnergy, "I've had a longstanding business relationship with Welty and look forward to working with Mary as she transitions from serving the people of Ohio to contributing her leadership skills and financial expertise to the private sector." Prior to being elected and serving two terms as Lieutenant Governor, Mary Taylor served as Auditor of the State of Ohio and as head of the Ohio Department of Insurance. She created and implemented the Ohio Common Sense Initiative to reform and eliminate job-killing regulations and led the modernization project for the Ohio Business Gateway (News - Alert), which is the primary source of business information for Ohio businesses. She is a member of the Ohio Society of Certified Public Accountants. She previously served as a council member for the American Institute of Certified Public Accountants and was appointed by President George W. Bush to the United Nations Commission on the Status of Women. She earned a Bachelor of Science Degree in Accounting and a Master of Taxation from The University of Akron. With offices in Akron, Cleveland and Columbus, Ohio; and Houston, Texas, Welty Building Company provides professional construction management services, specializing in Lean Construction, for clients in a variety of healthcare, commercial, education, energy, mission critical and hospitality markets nationwide. Since 1945, Welty has delivered extraordinary building experiences by never being afraid to do what's right. Welty has created many prestigious community assets, including the world-renowned Goodyear® Tire & Rubber Company's new Global Headquarters, a multi-phased expansion to the Pro Football Hall of Fame, Kay Jewelers Pavilion at Akron Children's Hospital, the City of Akron's Ohio Canal Interceptor Tunnel, numerous academic buildings at The University of Akron and many others. For more information, visit: www.thinkwelty.com.